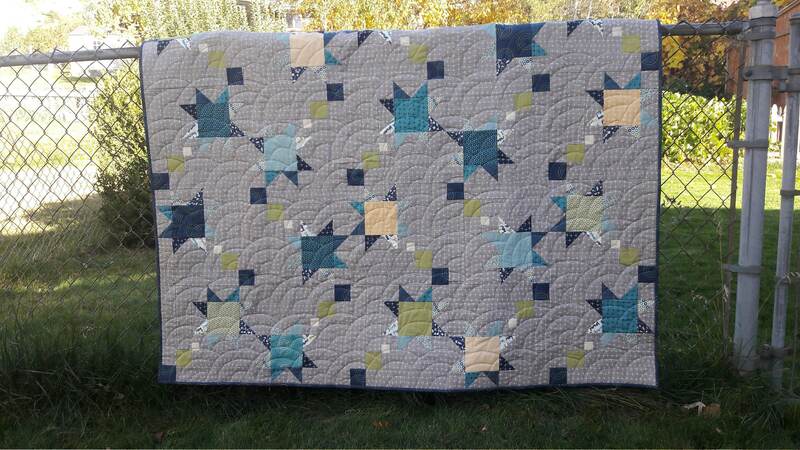 Scrappy stars trailing star dust make this movement filled baby boy quilt. Though you can change up colors and make it for a baby girl too. Makes a good scrap quilt. 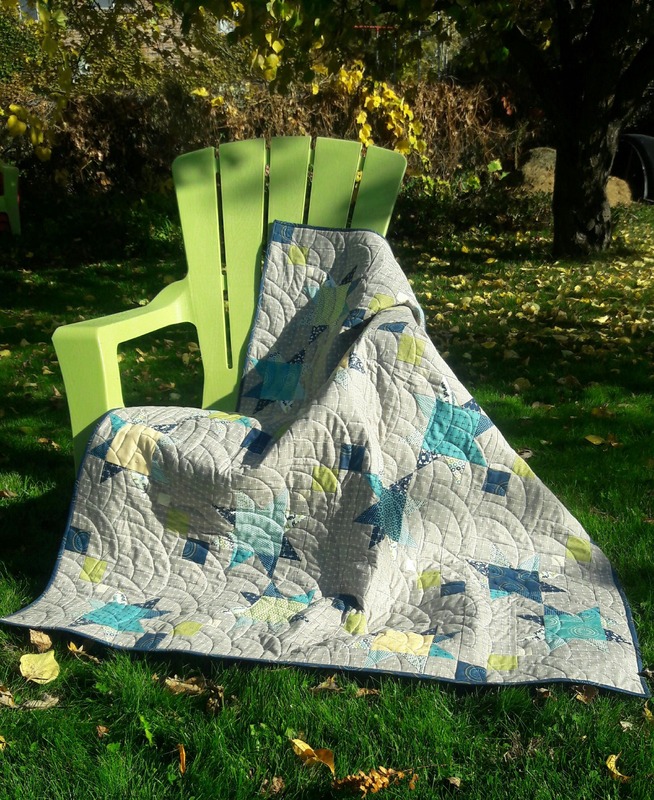 It is an easy quilt to assemble.